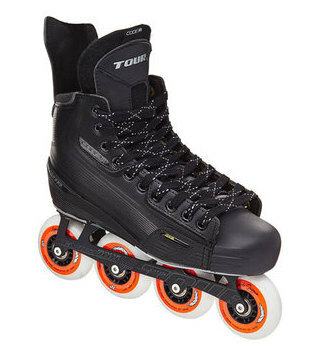 Size 29-36.5 Top USA Brand for Roller Hockey. 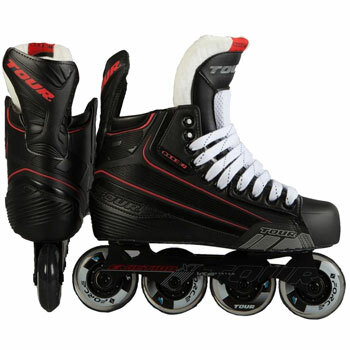 The Tour Fish BoneLite 225 Roller Hockey Skates are the entry-level model in the Tour Fish BoneLite Line, perfect for the casual or new-to-hockey player. The nylon quarter package works with the the injected outsole, giving players a forgiving yet sturdy feel on the rink. 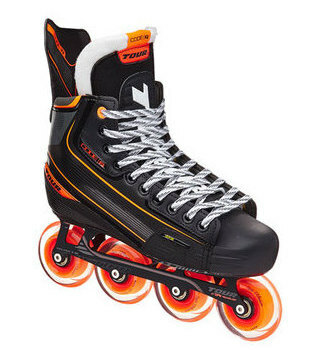 The Tour FishBone FB225 Adjustable Roller Hockey Skates are an excellent choice for the youth player who is growing fast. 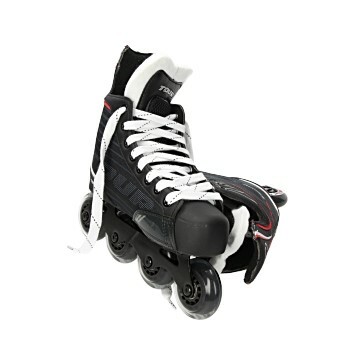 Young players can use these FB225 adjustable skates much longer than a traditional, single-sized skate; thereby saving money and allowing a player to get the most out of their skate. Tour’s unique, tool-less adjustable toe cap can be adjusted to (4) different sizes without sacrificing performance or comfort.